Are you tired of spending hours researching the best Honeymoon Destinations? Do you dream of a unique Honeymoon that isn’t like everyone else’s but are terrified you will make a mistake in picking the resort or destination for your first official vacation as a couple? With the excitement and craziness of planning a wedding, the thought of planning a honeymoon can be so overwhelming! Look no more. Divine Destinations makes it easy for you to plan the honeymoon of your dreams! 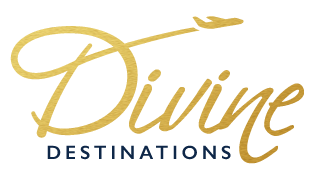 Divine Destinations works with busy couples who want to realize their dream of a perfect Honeymoon in an exotic location but don’t want the stress of hassle of trying to do it themselves. As a Certified Destination Wedding planner and self proclaimed Destination Diva, Jennifer Maki combined her unique skill of matchmaking couples to the perfect destination and her passion for travel and created Divine Destinations which focuses on the busy couple who dreams of a Honeymoon in a special locale but doesn’t want to risk such an important milestone to chance. Each Honeymoon is uniquely designed with the couples’ interest, budget, and style in mind and then just for fun, there are some extra amenities sprinkled throughout to enhance the moment. From chilled champagne upon arrival to a celebratory candlelight dinner on the beach or a sensuous couples massage, these are some of the extra touches we can add that will enhance your experience without costing a dime – again, just another reason couples love working with us – extra inclusions without the extra cost! Quiz: Is a Destination Wedding Right for You? Planning an Anniversary getaway or Vow Renewal ceremony? Looking for an exotic location? Do you love your spouse so much you’d like to say “I DO” all over again, this time stress-free? Weren’t able to Honeymoon in Fiji, but 10, 15 or even 20 years later your bank account says, “let’s go!”? If you dream of surprising your partner with a special getaway where the only interruptions are singing birds, ocean waves or your personal butler but don’t have a clue about all of the details that need to go into how to make it happen…..
Look no more! Divine Destinations works with couples who are approaching milestone anniversaries (or feel every year is worth celebrating!) who want to celebrate their love for each other by saying “I do” all over again through a Vow Renewal in Paradise or even through a romantic vacation in an exotic location but don’t want the stress or hassle of trying to do it themselves. As a Certified Destination Wedding planner and self proclaimed Destination Diva, Jennifer Maki combined her unique skill of matching couples to the perfect destination and her passion for travel and created Divine Destinations which focuses on the busy couple who dreams of an escape in a special locale but doesn’t want to risk such an importance milestone to chance. We have a soft spot for the romantics out there and love helping to make your dreams come true! Ready to get started planning your own Divine Destination?